Want a new concept of the SsangYong Tivoli??? We are very thankful to AUTO SINHA giving us an idea of how the compact SUV looks in the wild as the New Year gift to all of us. Its design crues from the xiv air and xiv adventure concept. 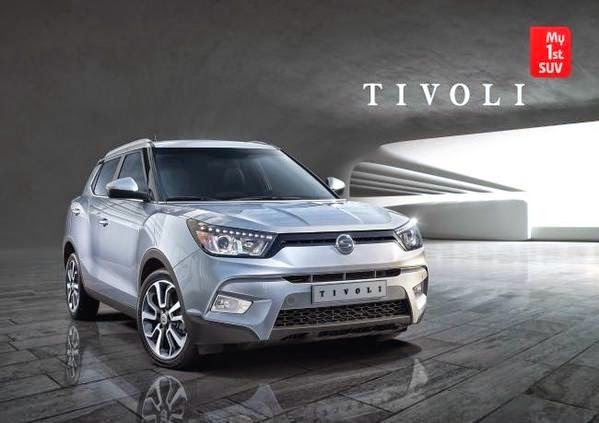 It is inform to all of you that the SsangYong Tivoli revealed next month in January 2015 in German and it is followed by other global markets. There are too many features in the Tivoli. The Tivoli will be available with 1.6 litre petrol & diesel engines and both are reported to have been jointly developed with Mahindra. Only SsangYong genuine accessories specifically designed engineered and tested to provide you with the highest quality and peace of mind when personalzing your SsangYong. It expected price around 15000 GBP (INR 15 lakhs) which is affordable to everyone who can want. It has safety features and luggage space safety items including 7 airbags and advanced seat belt system and strong body structure which feature AHSS (advanced high strength steel) and hot performing process. Tivoli is designed to provide maximum benefit to customors in safety and practicality.